I've shared before that I collect antique plates. See Here and Here for more on my plate collection. 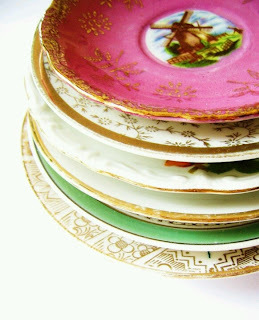 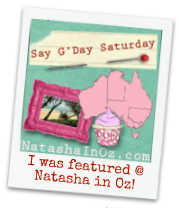 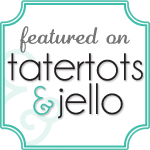 I had some spare time and began browsing pretty vintage plates on the web and Pinterest. 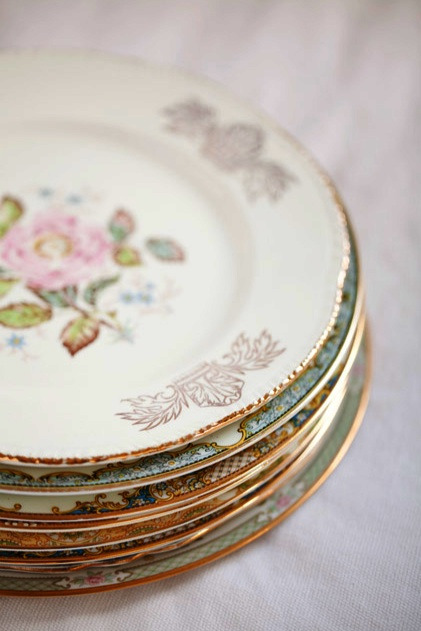 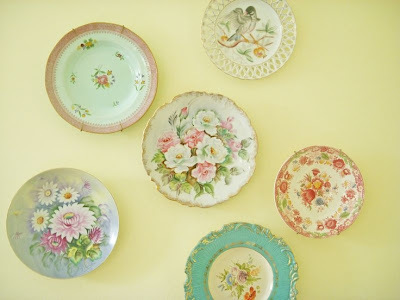 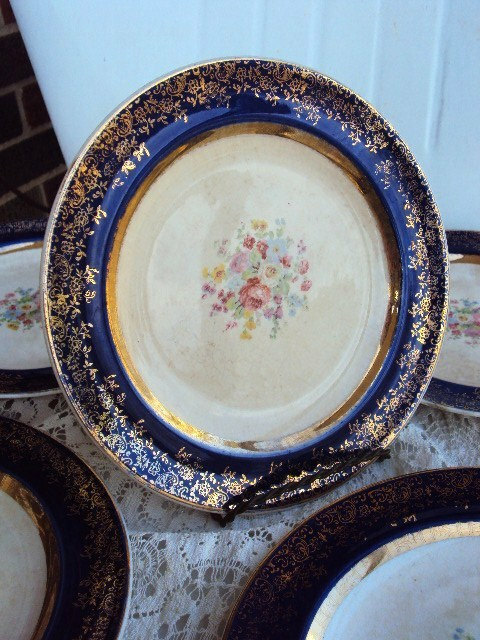 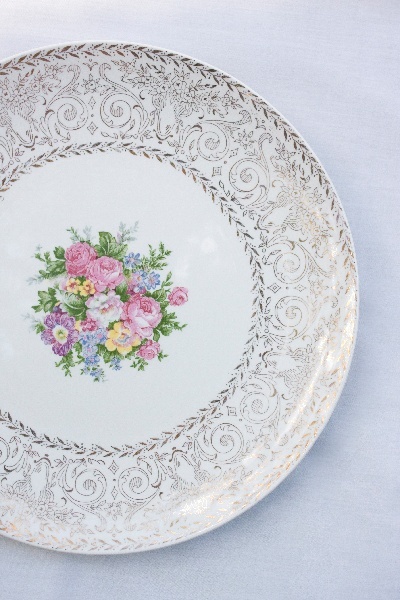 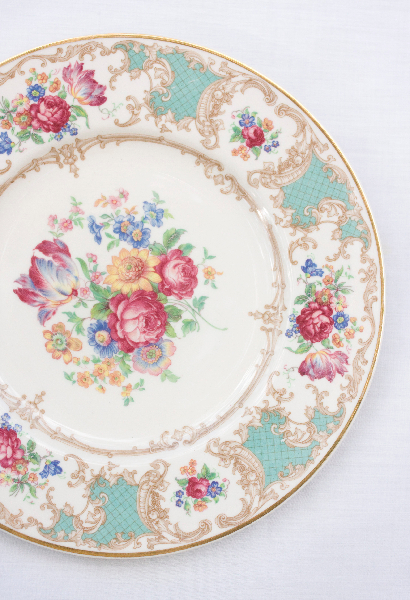 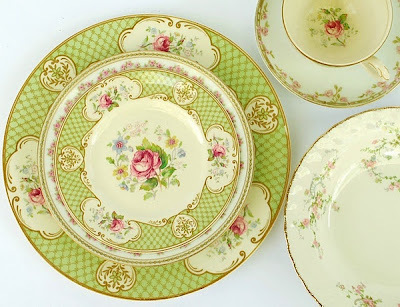 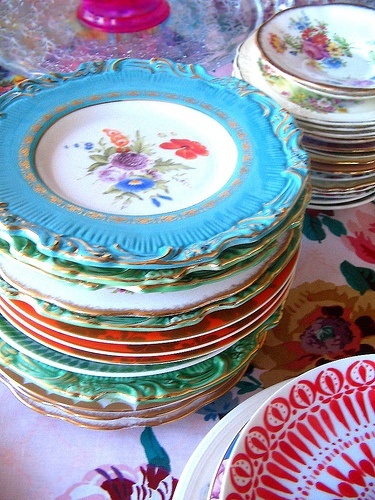 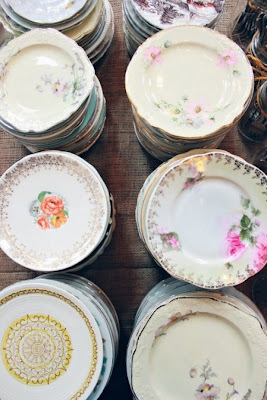 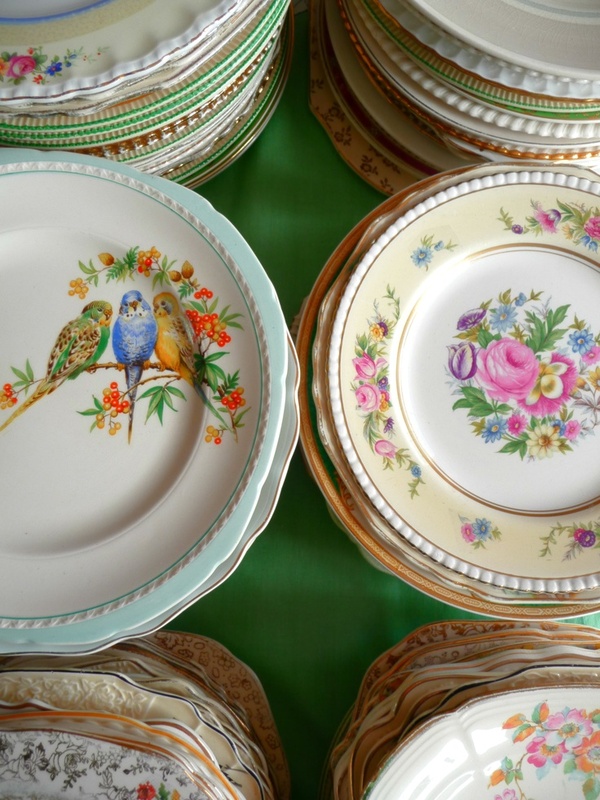 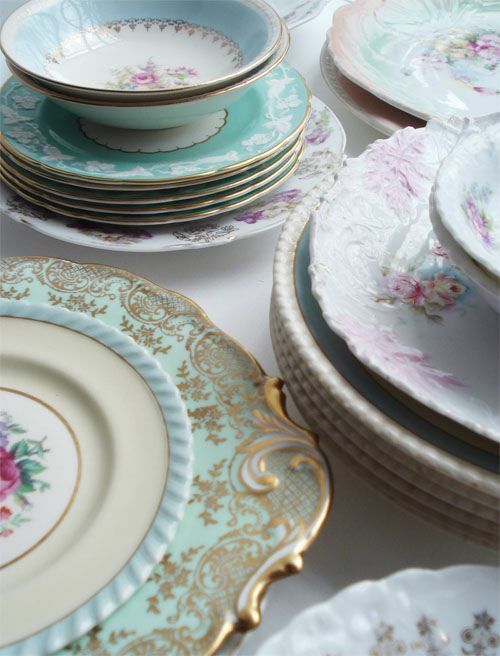 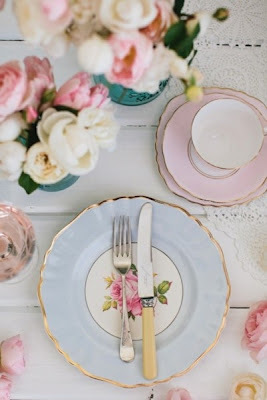 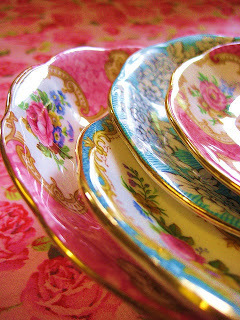 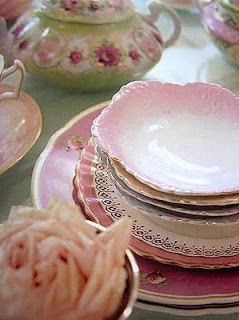 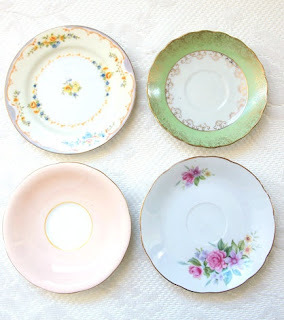 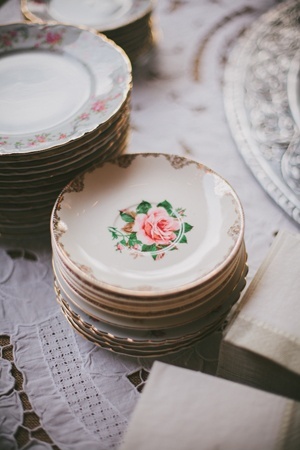 I think it would be so awesome to use a mix and match of vintage plates for a summer garden wedding. 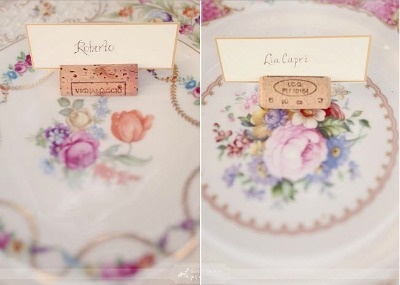 In fact, I would love to do that for my future wedding. 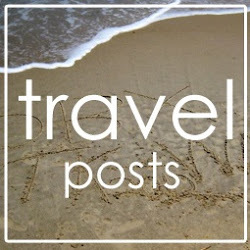 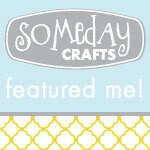 Here are some pretty ones I've found on the web for a little inspiration/ eye candy for the weekend. 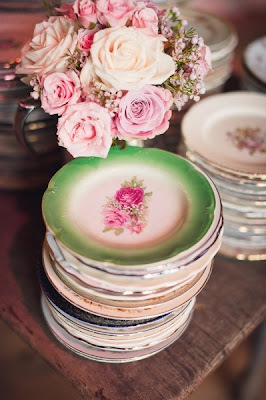 So pretty, and such a cool idea. 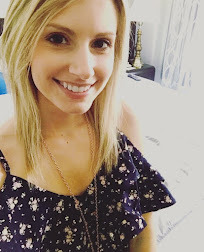 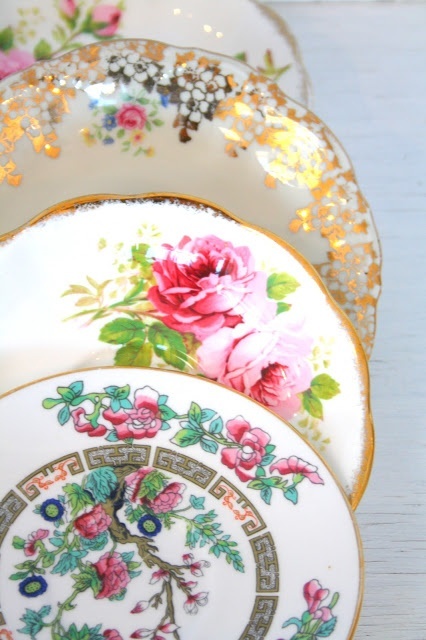 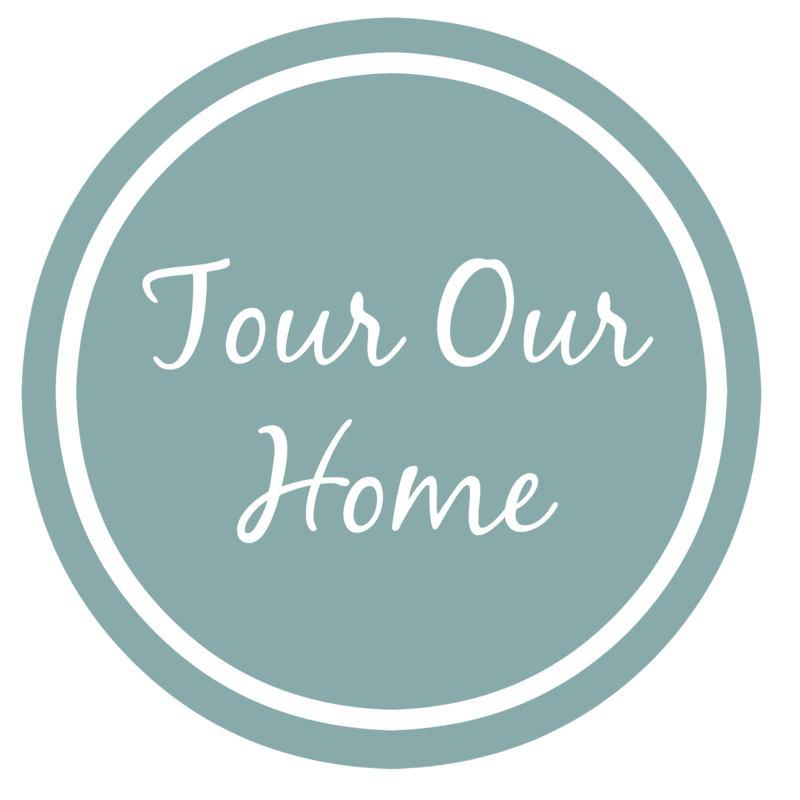 Although renting is an option, I think it would be so much fun to go antique shopping and just start collecting pretty plates to use for an event like a wedding. 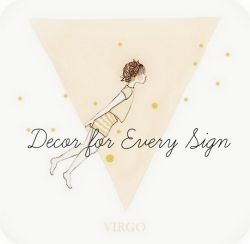 You will always have that keepsake of those dishes, and they will be even more meaningful because you hand-picked them all.